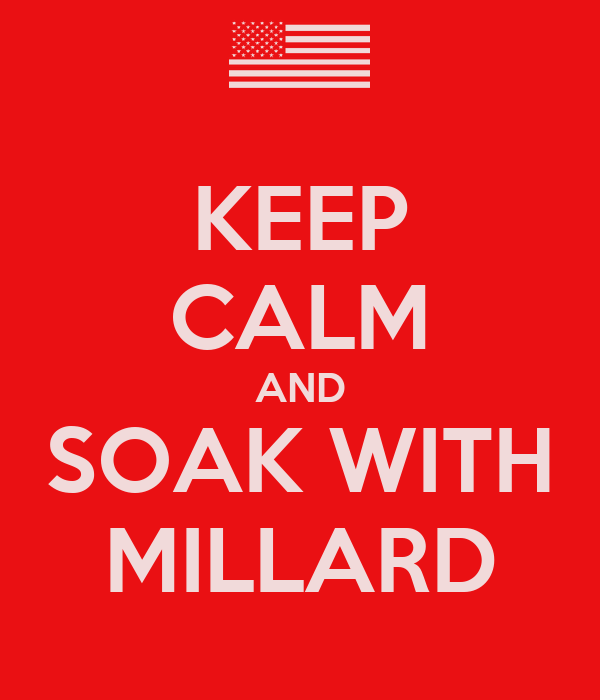 An encore post and Millard Fillmore’s Bathtub tradition from 2007, with a few modifications. In 1823, the poem “Account of a Visit from St. Nicholas” was published anonymously in the Troy (N.Y.) Sentinel; the verse, more popularly known as “‘Twas the Night Before Christmas,” was later attributed to Clement C. Moore. Regardless who wrote the poem first published 191 years ago today, how has it influenced America’s view of St. Nicholas, or Santa Claus? 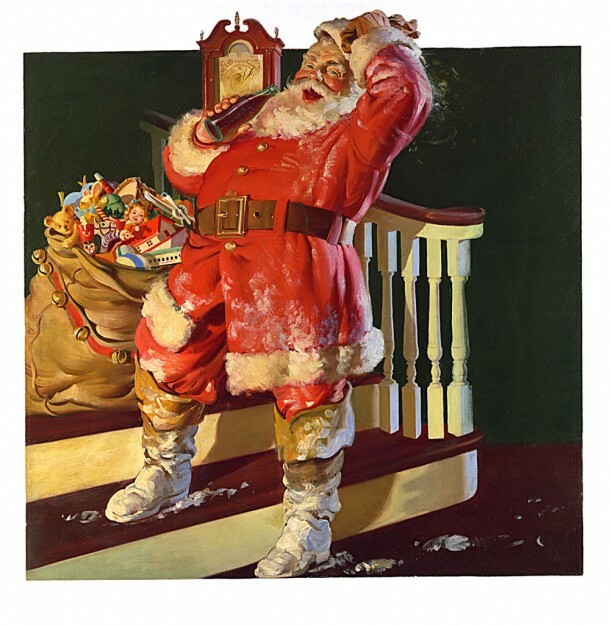 And how much of the Santa Claus story really was invented in America? Isn’t that part of the fun of history? 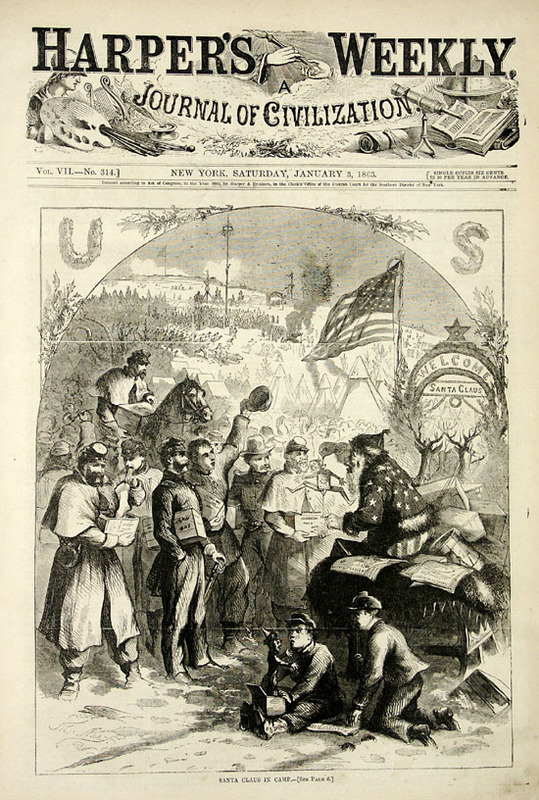 Thomas Nast’s full realization of Santa Claus, “Merry Old Santa Claus,” January 1, 1881. Harper’s Weekly, from the Ohio State University Billy Ireland Cartoon Library and Museum. Election Day 2014: Fly your flag, and VOTE! Did you notice? In George Caleb Bingham’s picture, there are no U.S. flags. You may fly yours anyway. Dear Reader: My apologies. As Cecil might say, we’ve been fighting ignorance since 1974, and it’s taking longer than we thought. My hopes to retire this post have not been realized. Heck, it doesn’t even need much editing from last year. Saints save us, please! We might pause to reflect, too: 2014 has seen the media rise of actual beheadings. This practice, which now strikes many of us as barbaric, occurs in reality as well as memory and literature; unlike St. Denis, those beheaded do not usually carry on to do anything at all; like St. Denis, they are martyred. Vote well in 2014. Your vote should be directed at preventing anyone’s losing their head, even just figuratively. Clearly, he is the guy to pray to about Michelle Bachmann, Rush Limbaugh, Todd Akin, Paul Ryan, intelligent design, and the Texas State Board of Education, no? In 2013, you can add Ted Cruz, Mike Lee, Louis Gohmert, the entire Tea Party, and the entire GOP crew of the House of Representatives. You catch my drift. Perhaps you can use this factoid to some advantage, enlightenment, and perhaps humor. In Catholic lore, St. Denis is one of the “14 Holy Helpers,” and his aid is sought to help people with headaches, or who have been possessed. Who else do you know of in this modern, vexatious time, who keeps talking after losing his/her head? 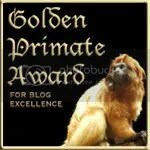 Yes, this is mostly an encore post. I had hoped to have to retire this post someday. I still hope. Perhaps this will be the last year we’ll have so many wackaloons running loose. Pray to St. Denis. Vice President Calvin Coolidge took the oath of office for the presidency first from his father, a notary public, in New Hampshire, after having been officially informed of the death of President Warren G. Harding while on a tour, in San Francisco. Coolidge is the only president to have been sworn in by a member of his immediate family. Washington, D.C., January 17, 1925. Foundations of the Republic (1926), 187. Calvin Coolidge took the presidential oath of office on August 3, 1923, after the unexpected death in office of President Warren Harding. The new president inherited an administration plagued and discredited by corruption scandals. In the two remaining years of this term, Coolidge, long recognized for his own frugality and moderation, worked to restore the administration’s image and regain the public’s trust. He went on to win the presidential election of 1924 in his own right. Coolidge believed that government should interfere as little as possible with business and industry. His administration supported tax reductions for U.S. businesses as well as high protective tariffs in support of U.S. goods—which were being produced in greater quantities than ever before. Technological and managerial innovations, improvements in the methods of production, and growing distribution networks made consumer items more generally available. Many Americans purchased cars and radios, vacuum cleaners, and washing machines—taking advantage of increasingly obtainable consumer credit. Some groups did not participate fully in the emergent consumer economy, notably both African-American and white farmers as well as immigrants. While one-fifth of the American population made their living on the land, rural poverty was widespread. Despite agricultural overproduction and successive attempts in Congress to provide relief, the agricultural economy of the 1920s experienced an ongoing depression. Large surpluses were accompanied by falling prices at a time when American farmers were burdened by heavy debt. Between 1920 and 1932, one in four farms was sold to meet financial obligations and many farmers migrated to urban areas. Restrictive immigration laws, aided by a resurgence of nativism in America in the 1920s, contributed to an atmosphere hostile to immigrants. The Emergency Quota Act of 1921 discriminated against immigrants from southern and eastern Europe. The National Origins Act of 1924 completely excluded Japanese and other Asian immigrants and further reduced those admitted from southern and eastern Europe. The economic growth of the 1920s spurred the rise of consumer organizations and campaigns. Some, such as the Truth-in-Advertising Movement, which pursued ethics and self-regulation in advertising, were industry-based. Other campaigns and organizations sought to educate consumers. The Better Homes Movement celebrated home ownership, home maintenance and improvement, and home decoration in towns and cities across the country. The Thrift Movement sought to teach children and citizens how to save and spend wisely. Stuart Chase worked to educate consumers about unfair advertising and pricing practices used by manufacturers of consumer products. Lastly, there were campaigns such as the Playground Movement which began in response to popular anxieties about material excess, misuse of leisure time, and the loss of traditional values. The American Memory collection Prosperity and Thrift: The Coolidge Era and the Consumer Economy, 1921-1929 contains a wide variety of materials related to the Coolidge presidency and the decade’s consumer culture. These include a letter to Coolidge from Samuel Gompers, president of the American Federation of Labor, a study of Credit Unions, and a book entitled Americanization through Homemaking. Read Coolidge’s distinctive political philosophy in several speeches made while he was governor of Massachusetts. Sound recordings and printed texts of these remarks are available in American Leaders Speak: Recordings from World War I and the 1920 Election. Find photographs and political cartoons relating to President Coolidge by searching on the subject heading: Coolidge, Calvin, 1872 1933, in the Prints & Photographs Online Catalog. See a series of photographs of Coolidge’s hometown and family home, including the desk where he signed the presidential oath of office in 1923, by searching on Coolidge in Architecture and Interior Design for 20th Century America: Photographs by Samuel Gottscho and William Schleisner, 1925-1955. More photographs of President Coolidge and his wife, First Lady Grace Goodhue Coolidge, are featured in By Popular Demand: Portraits of the Presidents and First Ladies, 1789-Present. 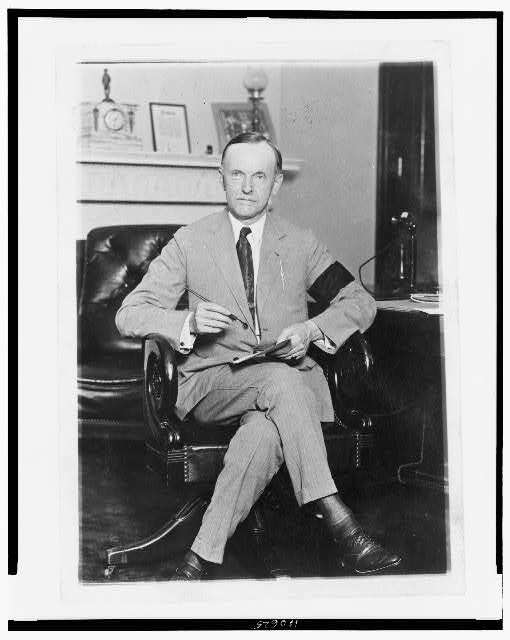 From the Library of Congress collections: Calvin Coolidge, full-length portrait, seated at desk, facing front, holding pen and paper, wearing black armband in mourning for President Harding. 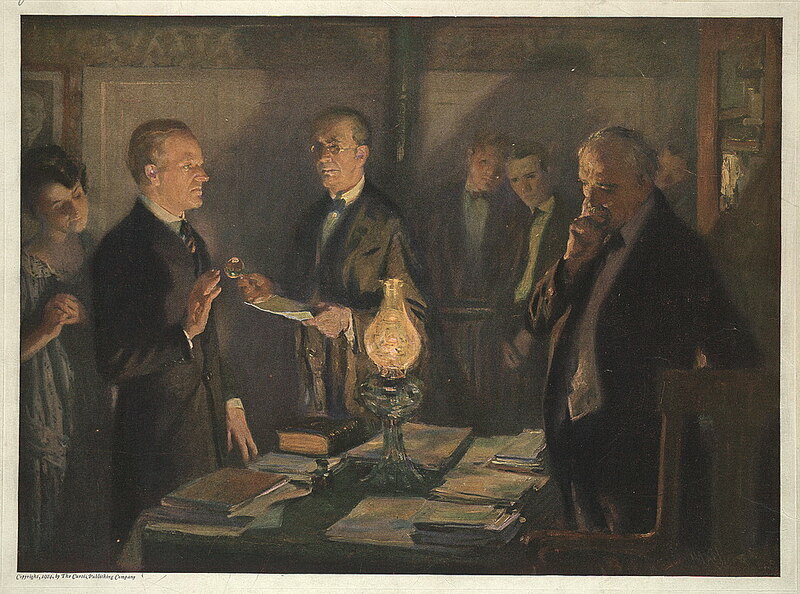 Coolidge took the oath of office in Plymouth Notch, VT early in the morning of Friday, August 3rd, and arrived in Washington late that night, the day after the death of President Warren Gamaliel Harding (1865-1923). Coolidge was the nation’s thirtieth president. You are currently browsing the archives for the History and art category.